Ulysses Acero, a senior at Montebello High School, shows us his Edison Scholars medallion. Ulysses Acero gets a hug from his mother after receiving a $40,000 Edison Scholars scholarship to study mechanical engineering at UCLA. Montebello High School senior Ulysses Acero was the first of 30 students this year awarded a $40,000 Edison Scholars scholarship. 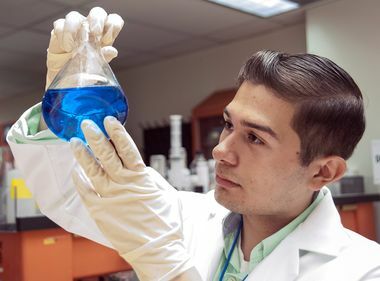 Ulysses Acero wants to use his $40,000 Edison Scholars award to major in mechanical engineering at UCLA to help create safer equipment for the workplace. Thirty Southern California students, including senior Ulysses Acero pictured above, have been selected to receive a $40,000 Edison Scholars scholarship. Ulysses Acero will use a $40,000 Edison Scholars scholarship to study engineering to help create safer equipment for the workplace. 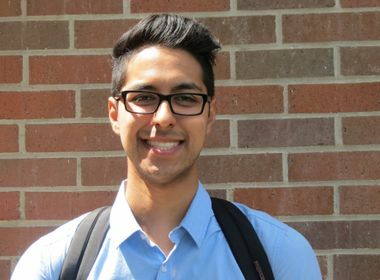 Ulysses Acero has known since eighth grade that he wanted to be a mechanical engineer. That was when a childhood friend died going downhill on a bicycle that had no brakes. Now a senior at Montebello High School, Ulysses redoubled his commitment when he learned that his former swimming coach’s husband, Jacob Moon, died on the job. Moon was a Southern California Edison troubleman who died while responding to a customer’s outage during a storm in January. Moon left behind his wife, Eliana, whom Ulysses is still close to, and the couple’s two young children. Ulysses wants to do something with his education in mechanical engineering to help prevent those kinds of accidents in the future. “I would like to make safe parts to reduce the risks at work,” Ulysses said. His college plans recently got a boost when he learned he was selected for a $40,000 Edison Scholars scholarship. 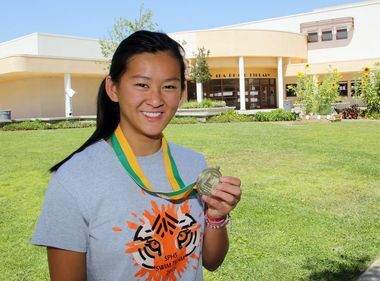 Edison International, SCE’s parent company, awards the scholarships every year to 30 low-income high school seniors who want to major in science, technology, engineering or math (STEM). He said he wanted to attend UCLA, but as one of six children, it was going to be tough financially. The competition was stiff for the scholarships, with 933 students across SCE's service territory applying. To be eligible, applicants had to have a GPA of at least 3.0, demonstrate financial need and live in or attend high school in SCE’s service area. They also must plan to attend a four-year college and major in electrical, environmental, mechanical, civil, computer or industrial engineering, in computer sciences/information systems or environmental sciences. Since 2006, Edison International has awarded $5.3 million in scholarships to 520 students.